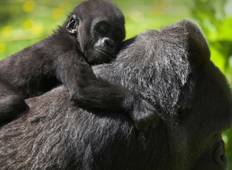 No other wildlife encounter in East Africa matches the experience of spending time face-to-face with wild silverback gorillas. Ensure your journey is worth it by trekking through the tropical Ugandan jungle to search for these primates and enhance this once-in-a-lifetime experience. "GoExplore is a real gorgeous operator I suggest everyone choose it! Brian ,who run..."